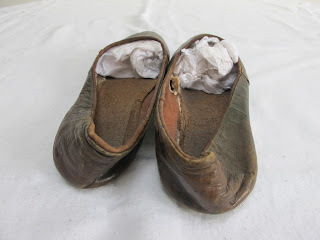 Wonderful antique early Victorian shoes or slippers, which have been produced from dark olive green leather, trimmed to the top edge with brown leather. 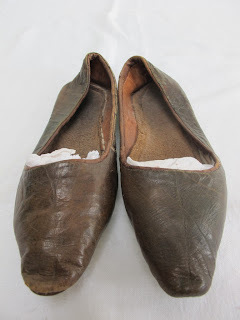 The shoes have been lined in tan leather and cream linen, with flat leather soles. Mid 19th century, circa 1840/50's. 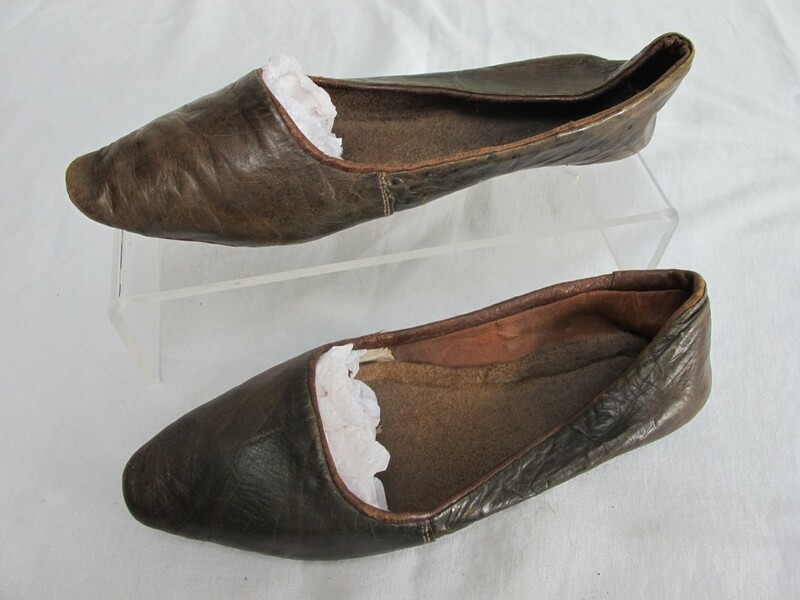 The shoes measure 23cm (9") long, 7cm (2¾") wide and 4cm (1¾") high. 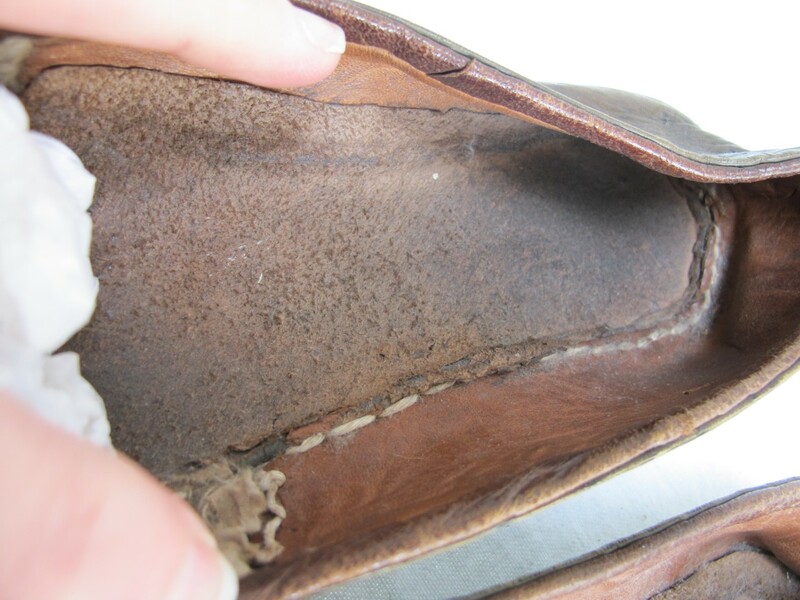 The shoes are in a very good condition for age and delicate nature, with no major damage, although there is wear to the leather. 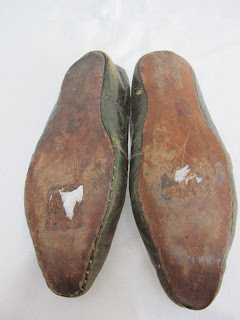 Please refer to the above photographs for details of condition. 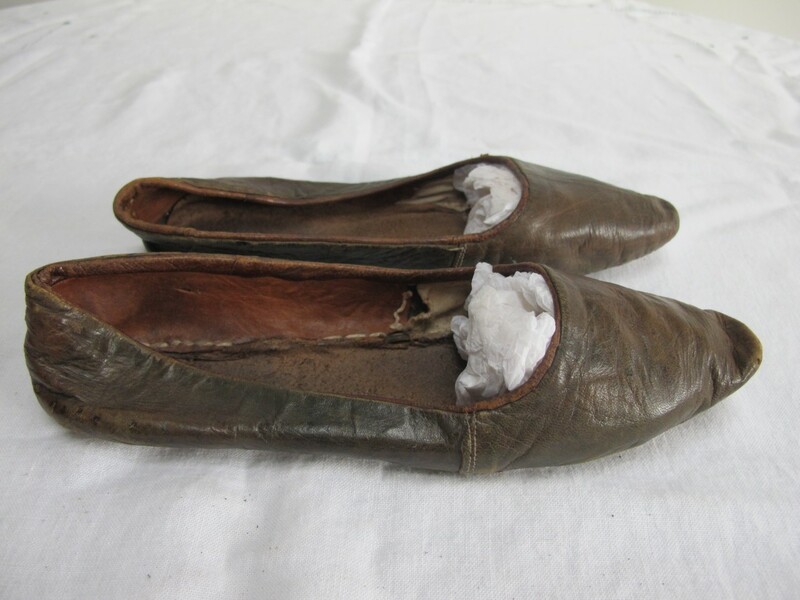 I'd say early 1840's but a nice pair of everyday shoes either way.